This scene provides a view up Franklin Street. 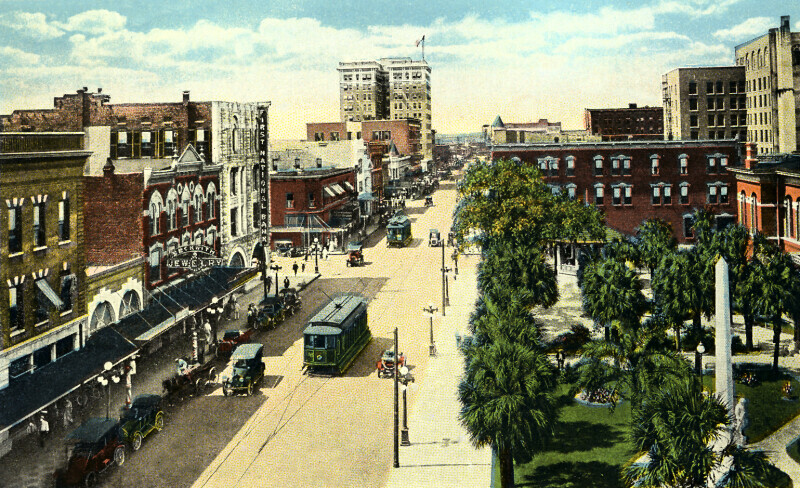 To the left, the First National Bank Building is on the closest corner. The ten story building, just beyond the Maas Brothers building, is the Citizens American Bank Building. The white obelisk, in the bottom right corner, is the Confederate Memorial.